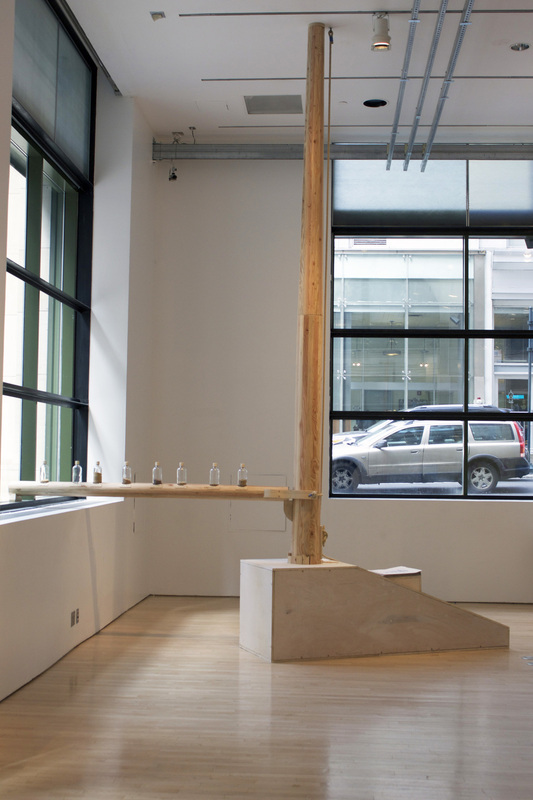 For the exhibition Left Coast: California Political Art, the San Francisco-based arts collective Futurefarmers, Amy Franceschini, Audrey Snyder, and Joe Riley, banded together across continents and oceans to create a new work, entitled Provisioning. The piece is a traditionally constructed boat mast and spar, filled with grain collected from all over and currently being grown by Futurefarmers at Slow Space in Oslo, Norway. 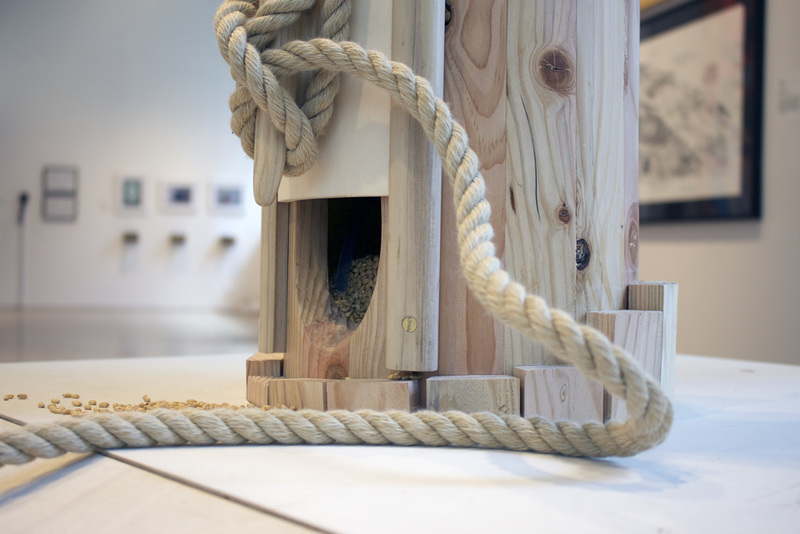 The wooden mast is stepped into a chute covered by a fine patina of flour and water, and a horizontal spar holds a growing collection of seeds as it might a sail. At once a library and a silo, this seed mast is the first of many steps in provisioning toward the Flatbread Society Seed Journey — a voyage in which the grains will be transported back to their geographic origins in Jordan. This reverse migration is imagined as a “rescue,” and falls within a larger movement to protect the rights of small farmers. 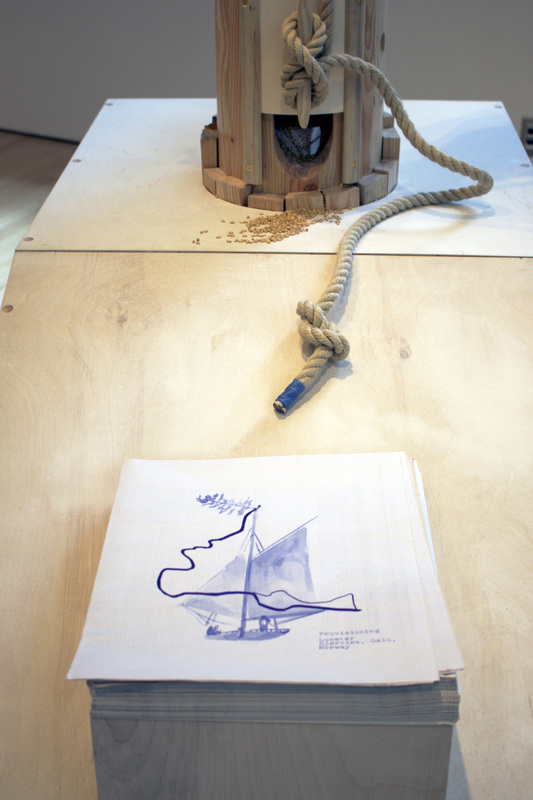 The project also imagines food, and grains in particular, as a symbol of resistance in the wake of intellectual property rights as they relate to biological matter. As a preparation and anchor of the forthcoming journey, Provisioning is also accompanied by a broadside print which details the mast's storied cargo along with a new text entitled Seeds of Time, written by anthropologist Michael Taussig for the Flatbread Society Seed Journey. 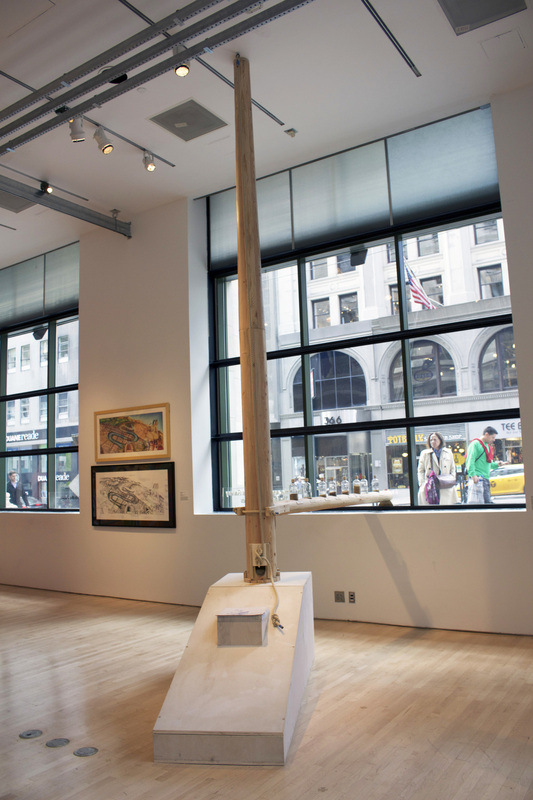 Seed Mast was on display for the Left Coast exhibition, April 15, 2015 through May 29 at the James Gallery, CUNY Graduate Center, located at 365 Fifth Avenue between 34th and 35th Streets, NYC.